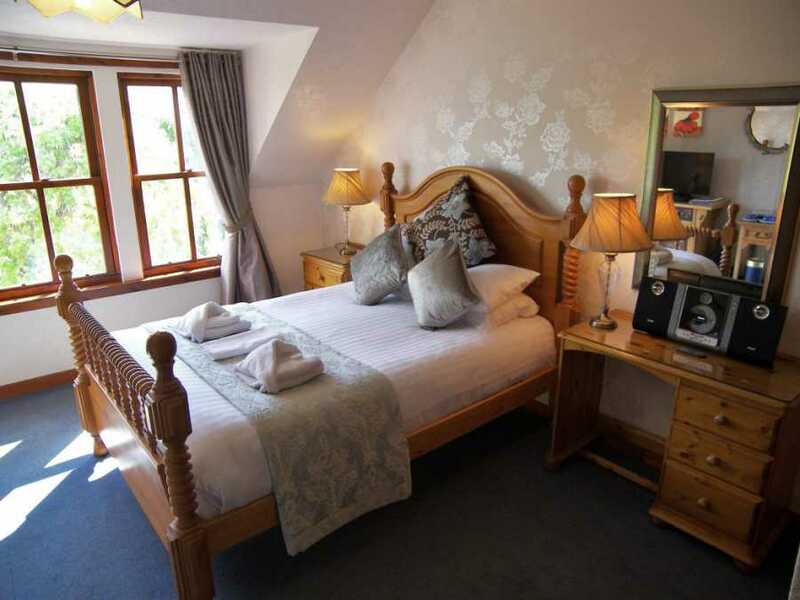 Book Pitlochry Accommodation at Rosemount Hotel : You’ll find this friendly small hotel has a lovely setting, enjoying some panoramic views of Pitlochry. 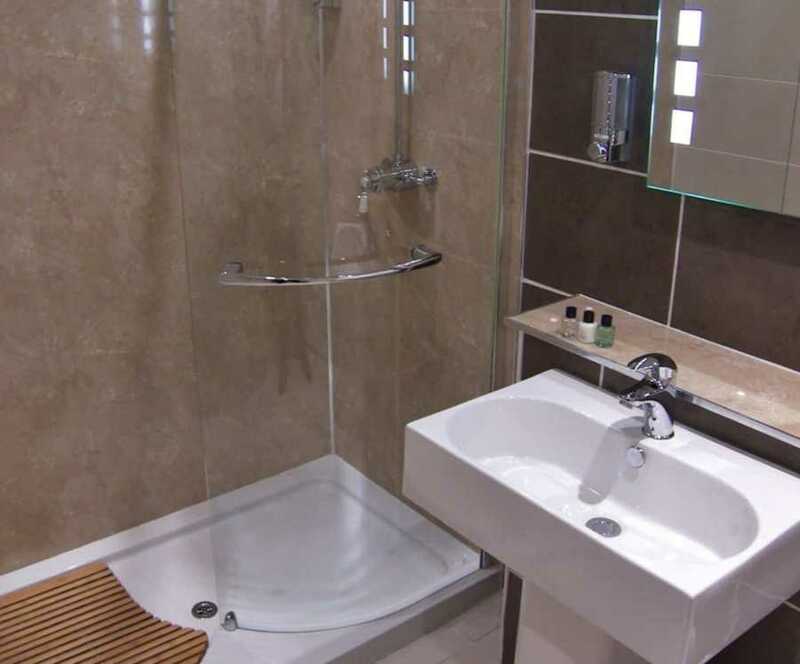 We are peacefully located yet only a few minutes stroll from the very heart of the town. 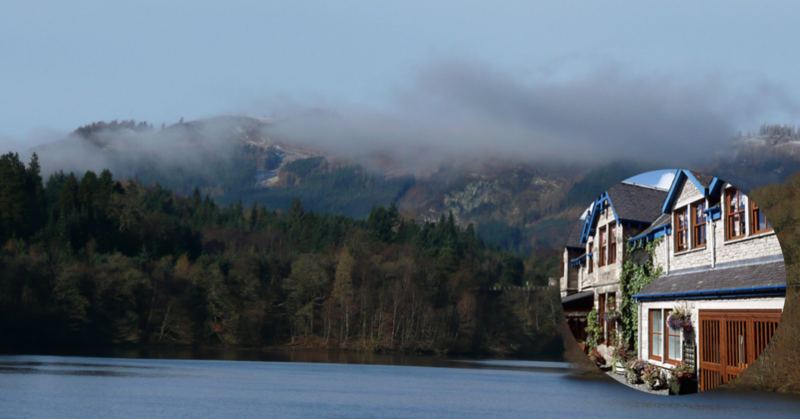 Pitlochry lies within a stunningly beautiful area for day visits around gorgeous Perthshire and beyond. 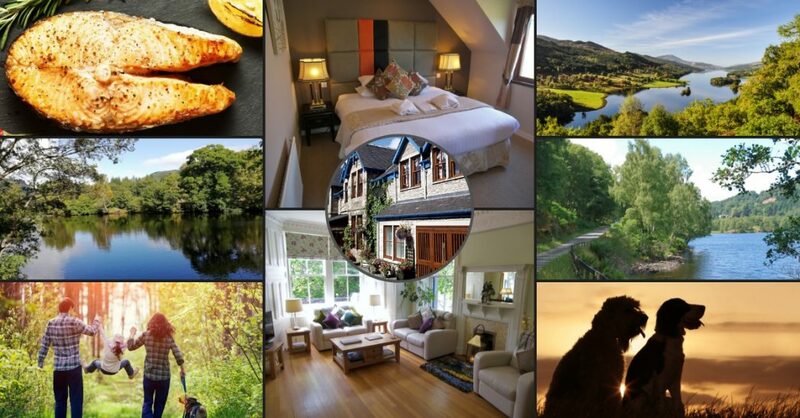 Why not treat yourself to some precious time in this fabulous place and make a Pitlochry accommodation booking here. 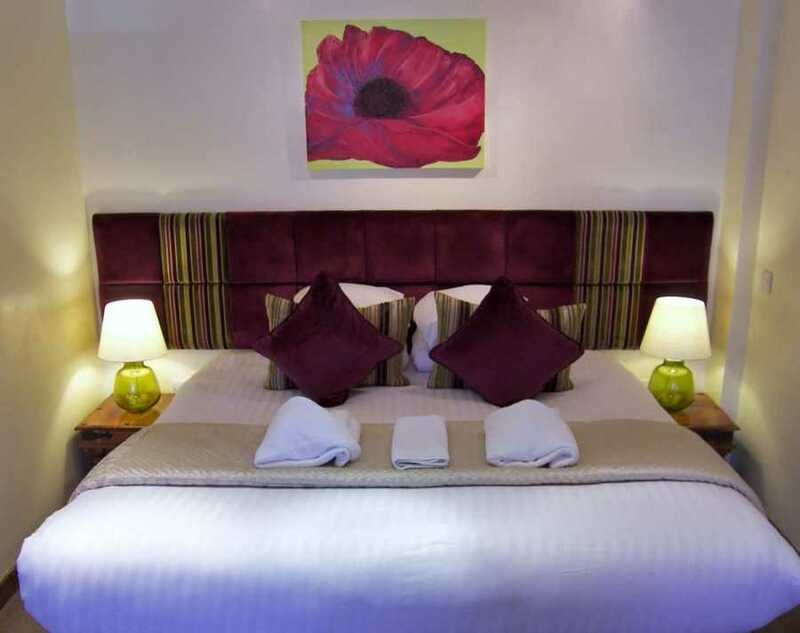 A small friendly hotel near Pitlochry town centre, Theatre and outdoor activity centres. Rosemount has been extensively reviewed as having immaculate accommodation, an obliging and motivated staff team, good food and lovely views. 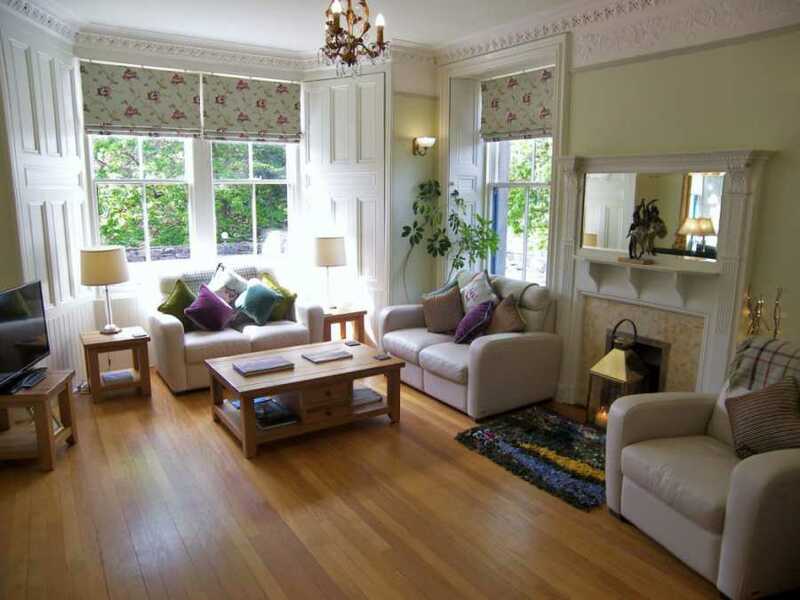 You have a choice of four different room grades which match budget with your own priorities for your Pitlochry break. 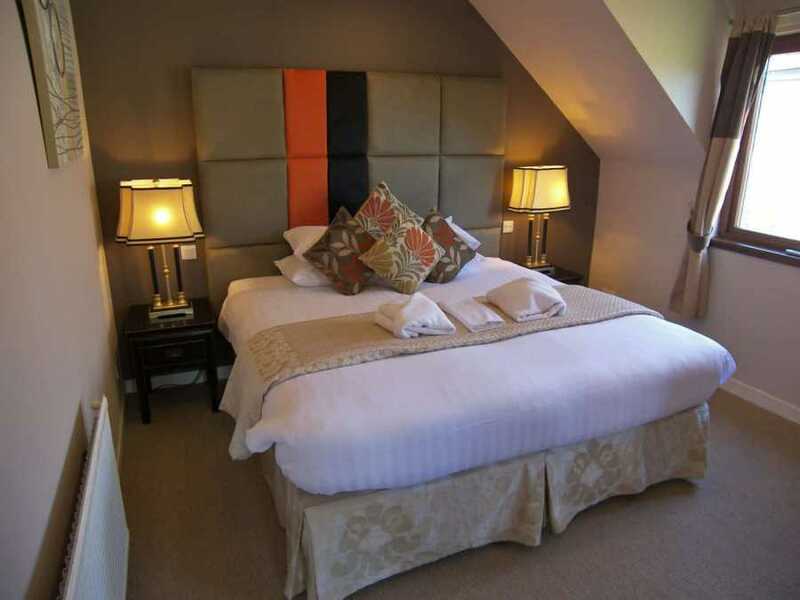 B&B rates generally start at £78 per room per night for an Economy Twin or double room. However, and doubly so during the low season, special offers reduce our prices even further and are well worth checking out. 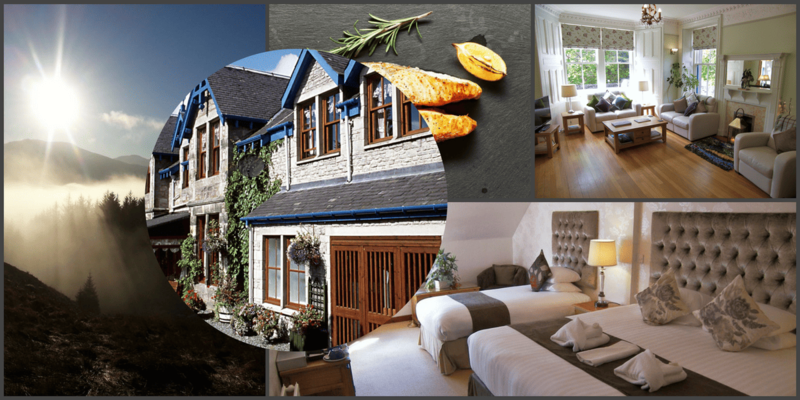 Remember – when booking accommodation Pitlochry you’ll always get the best rates when booking direct. 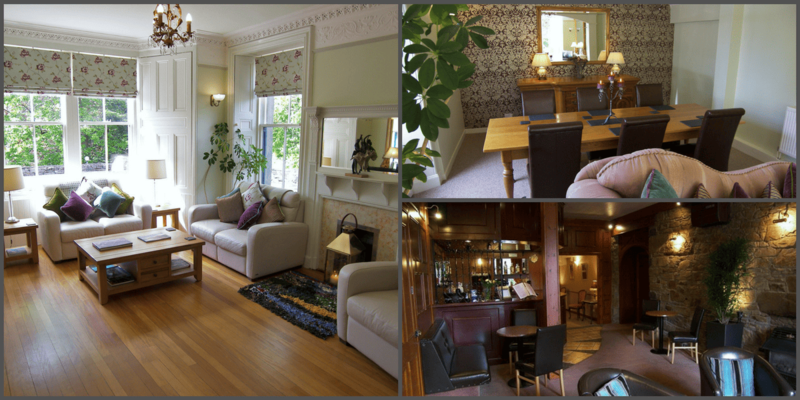 Why Book Accommodation at Rosemount in Pitlochry? 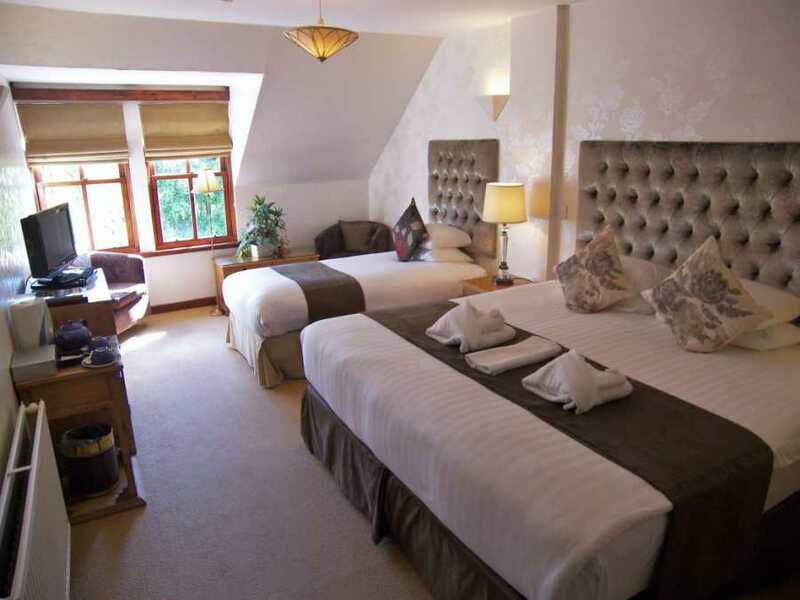 Rosemount Hotel is set in a moderately elevated position overlooking the beautiful Victorian town of Pitlochry. 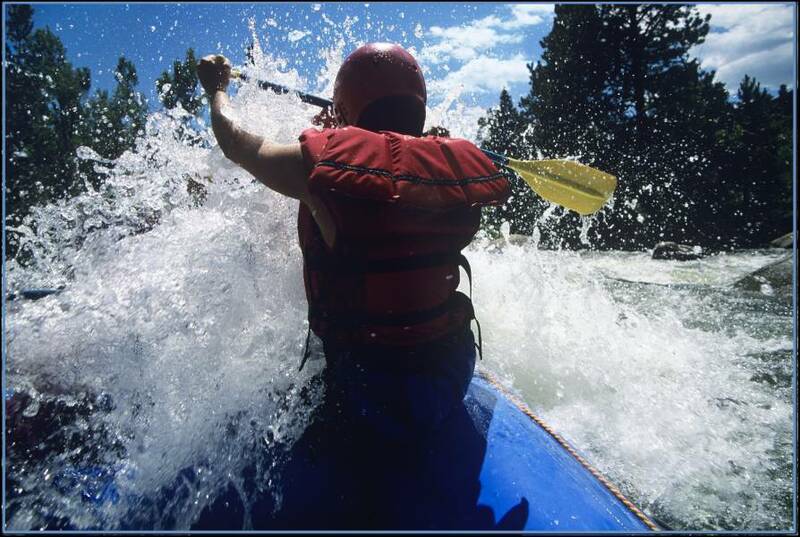 It is ideally located for getting to see an abundance of beautiful sights and interesting places. 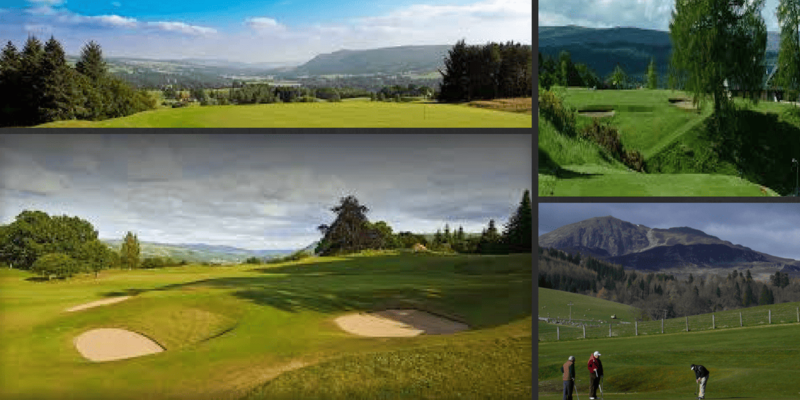 Perthshire is undoubtedly one of the most stunningly beautiful areas of the UK. 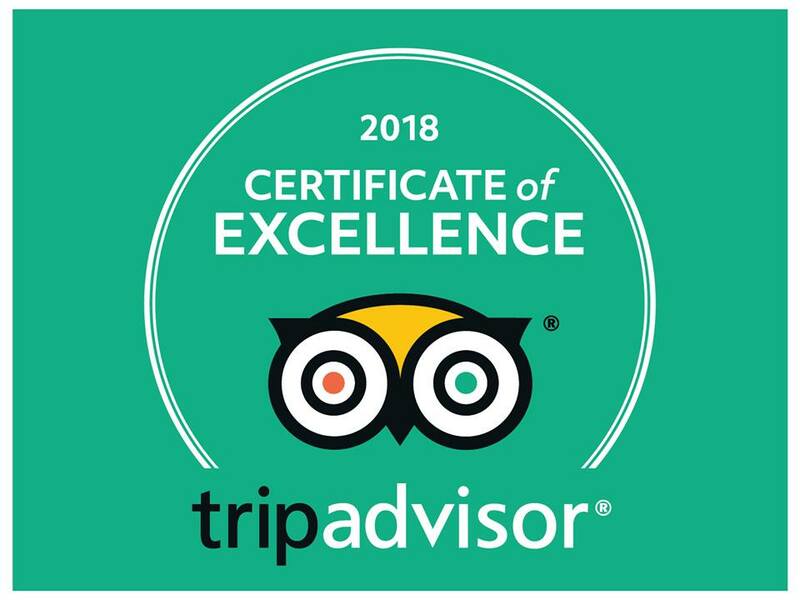 In addition to being a great destination in its own right, it is centrally located for day trips our to the whole of central Scotland. Pitlochry’s growth as a popular tourist destination began in the 1800’s, when Queen Victoria stayed at Blair Castle in 1842 and sowed seeds of a fashion for the area with very favourable comments. The arrival of the railway in 1863 completed its establishment as one of the UK’s premier hill-clad resorts. 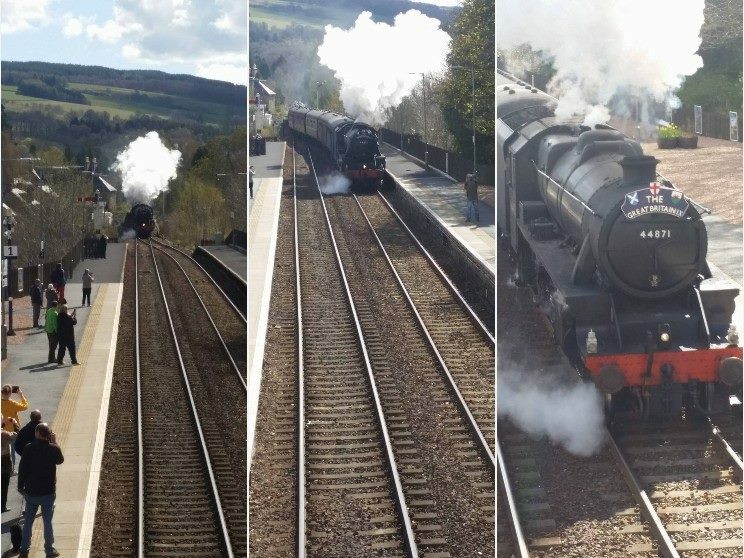 Pitlochry’s authentically Victorian Railway Station is a pure delight and the journey, by rail, throughout the area is a worthy exercise in its own right. Some 100,000 people take a trip to this station annually, enjoying the chocolate-box scenery. Despite the footfall, the station is very well maintained and a pleasure to see. Don’t miss the amazing second-hand book shop on the platform, where you can pick up your holiday read for £1. The backdrop of Ben Vrackie Mountain, set to the north of the town, is quite stunning. It’s imposing peak is a draw to hundreds of walkers and on a good day, offers one of the best views in the southern highlands, over Beinn a’Ghlo, Glen Tilt and towards the Cairngorms, beyond. The first part of the ascent is well served with good paths, though the final part is rather eroded. The canopied High Street consists of interesting Edwardian architecture and is ablaze with hanging baskets through the Summer months. A growing number of quirky independent shops and cafés add further colour and life to the quaint scene. 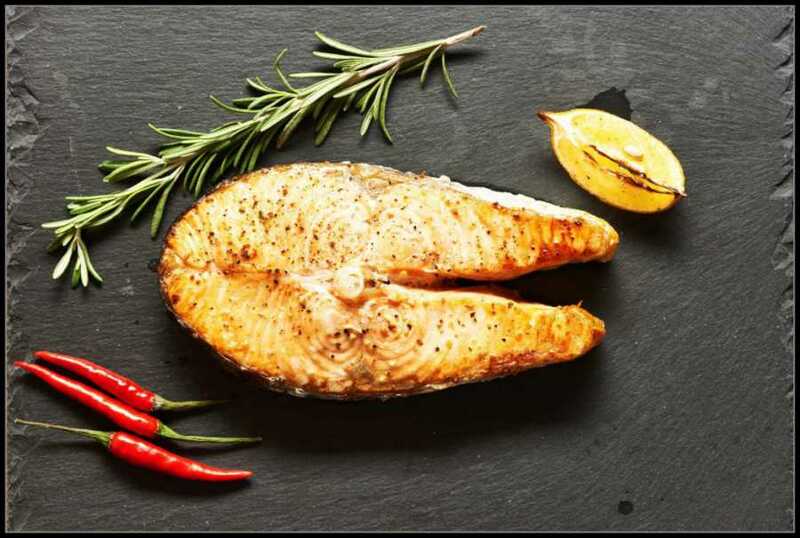 The town has a strong vitality and the range of shopping is good, from the almost expected tweed and tartan experience through some standard shops to a higher–end offering. 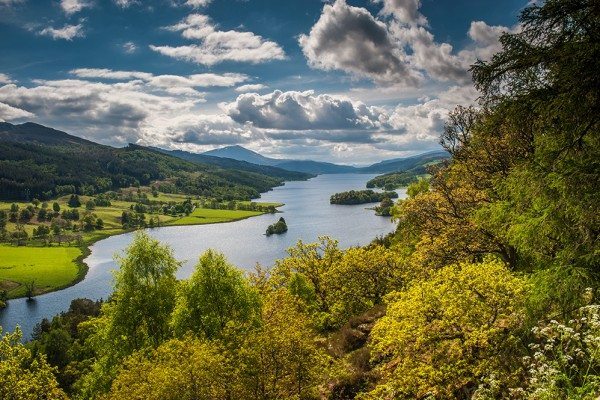 At the north-west end of the town, you’ll pick up a sign for the Fish Ladder, a hydro-electric dam offering stunning views of Loch Tummel and its river meandering southwards. Before quite reaching the dam it’s quite worthwhile to turn around and admire Ben Vrackie in one of its finest aspects. 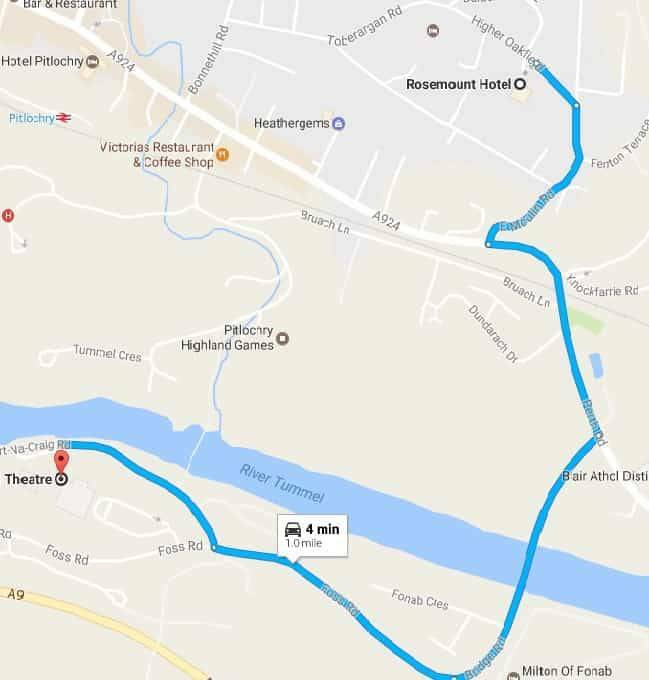 It’s a very enjoyable way to spend some time crossing the dam and walking back to the town along the river, passing the Festival Theatre and maybe stopping at the Port Na Craig Inn for a riverside “sit” and a coffee or beer. 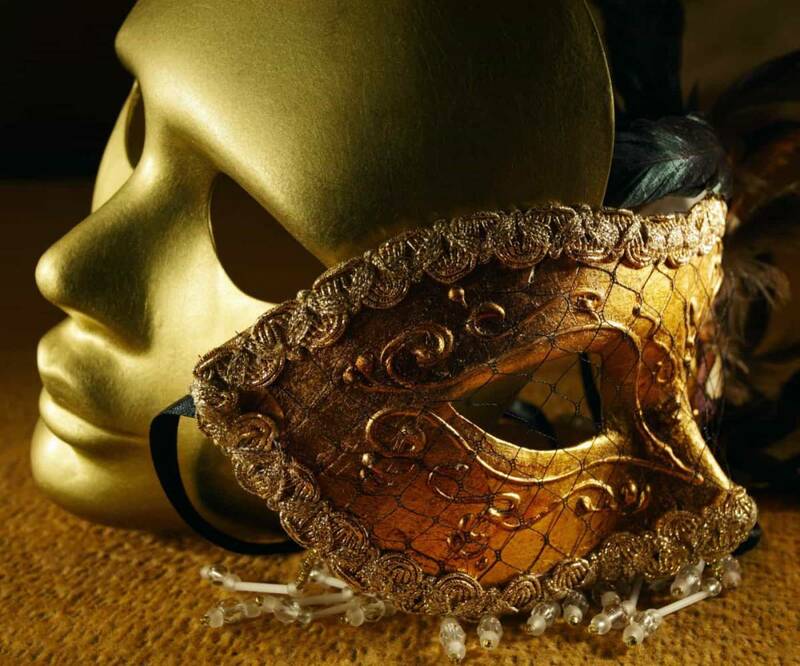 Pitlochry Festival Theatre is open all year and offers a varied, eclectic programme of plays, musicals, concerts, etc. it also provides an alternative coffee stop for a lovely view over Pitlochry from the ceiling-to floor glass frontage. 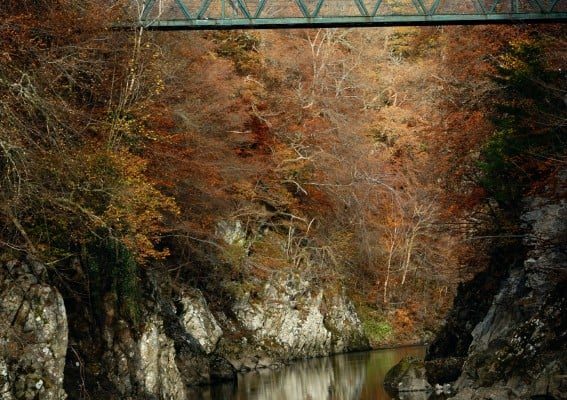 There are two options for returning to town – one over a “swing” suspension bridge, providing further lovely views, or onwards to Blair Athol distillery for an excellent insight into the production of whisky. Pitlochry’s second distillery is set in the hills and is one of Scotland’s smallest, producing only 12 barrels a week. 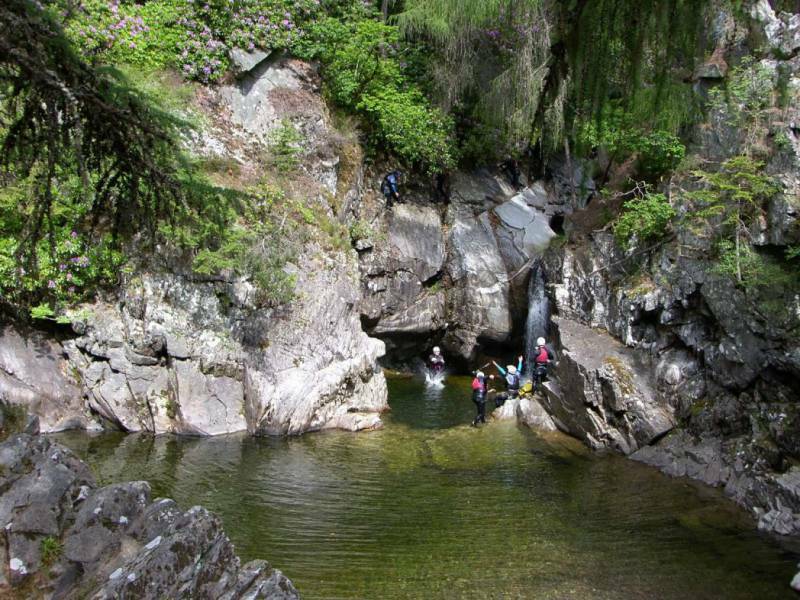 A fabulous woodland walk takes you from Blair Athol distillery, past the Black Spout waterfall and uphill to Edradour. Alternatively, it may be reached by car or taxi. 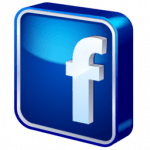 For walkers there is a useful leaflet under the name ‘Pitlochry Walks’. 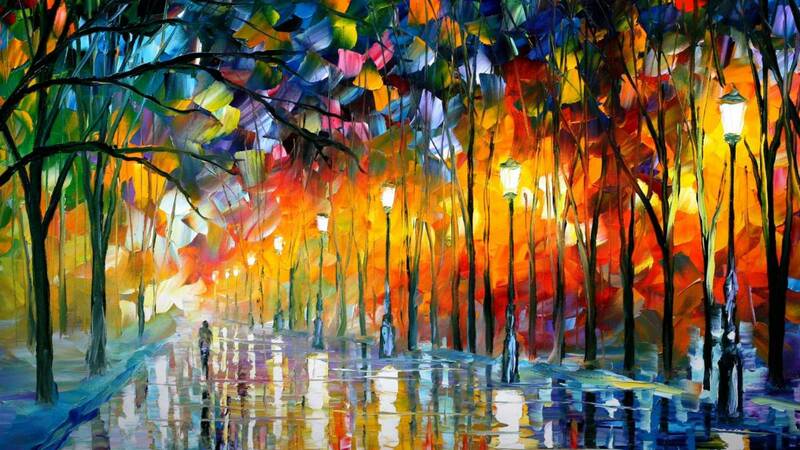 This is available from Rosemount Hotel and also Pitlochry Tourist Information centre. 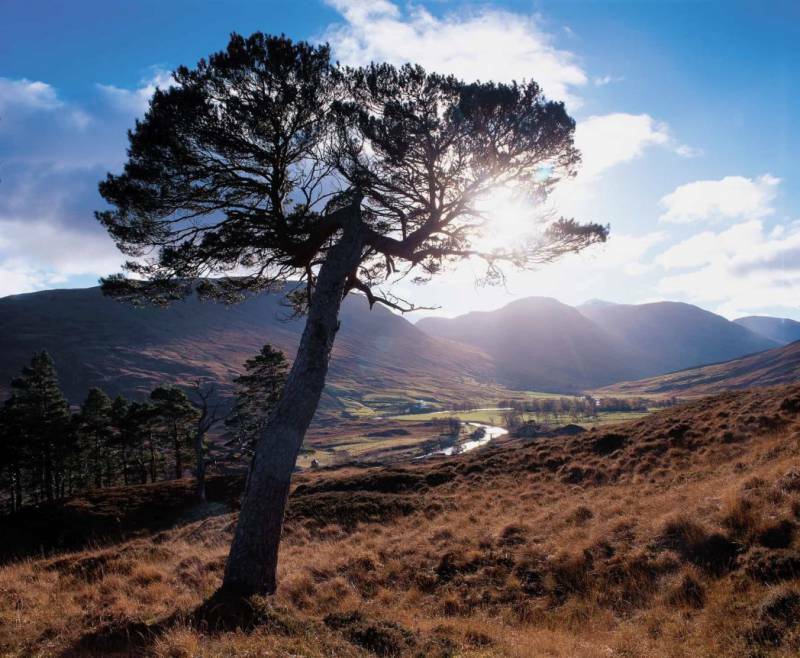 It lists eight walks, four short and four long, taking you through forest, past waterfalls, along rivers over hills and glens – a complete walking experience for the moderately- inclined. 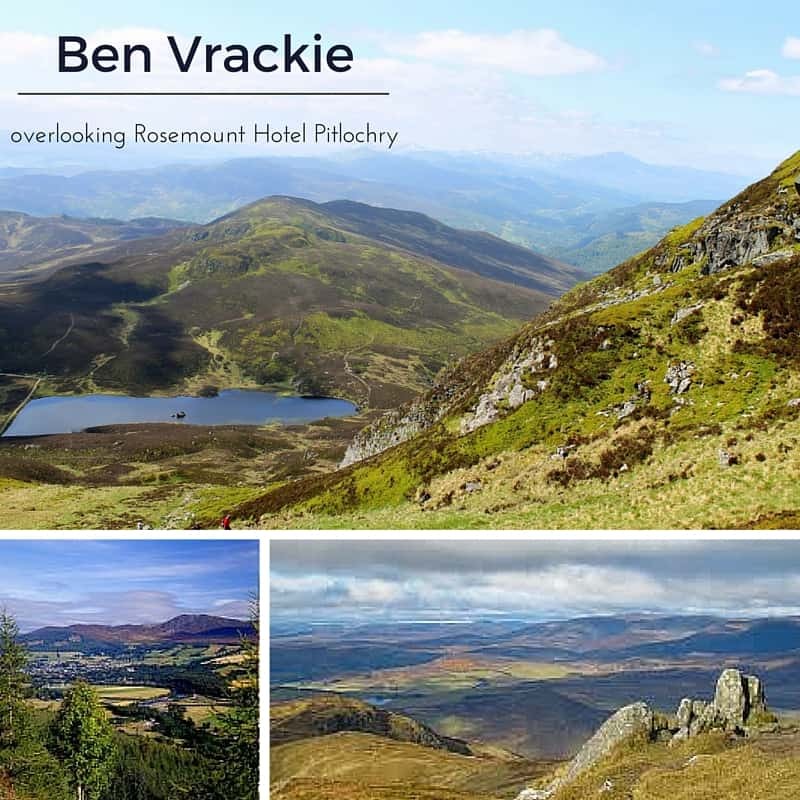 For those seeking greater challenge, Pitlochry is the destination town along the Rob Roy Way – a mountain trek emanating from Drymen in the west of Scotland. 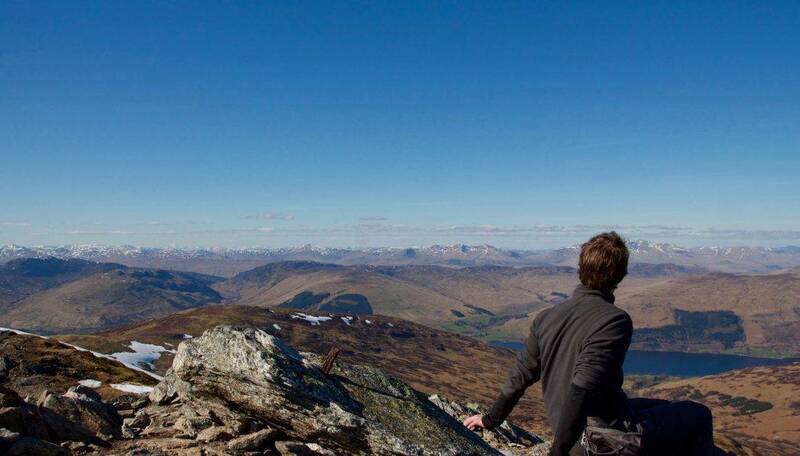 A number of munros and corbetts are accessible from Pitlochry, also. 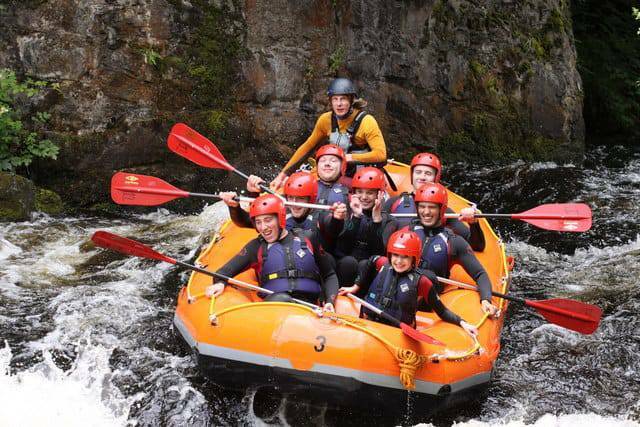 One of the great things stay in Pitlochry is that you’ll never run short of things to so. 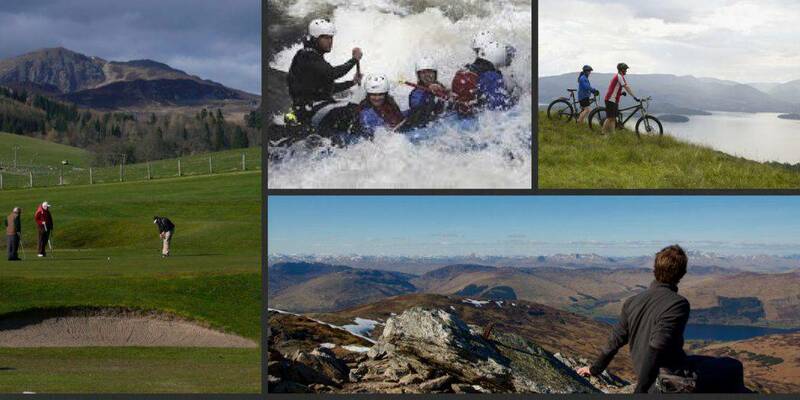 Just a small sample of the many ways in which you can enjoy a day in and around Pitlochry. This trip is a truly pleasant mix of driving (about 1 hour in total) with stop-offs for short walks to reach stunning view points. Four miles north of Pitlochry lies the Pass of Killiecrankie, a plunging, wooded gorge with the River Garry flowing through its depths, that was the site of the Battle of Killiecrankie in 1689. 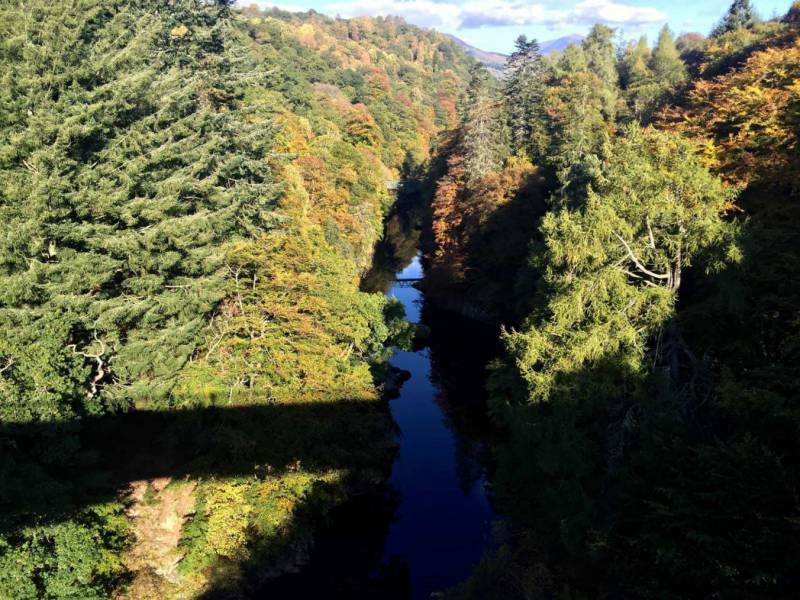 Stunning views may be obtained along the gorge from the Garry Bridge and there is also a riverside walk from Pitlochry. The name Killiecrankie means “wood of the Aspen trees” and it provides a stunning vista of ever-changing colours on a steep, hillside backdrop. It is also refuge to a wide variety of wildlife including Red Squirrels, Otters and bird-life. The Killiecrankie Visitor Centre offers an interesting insight into the blood-stained history of this key region. There is a walk for the Centre car park down into the gorge. 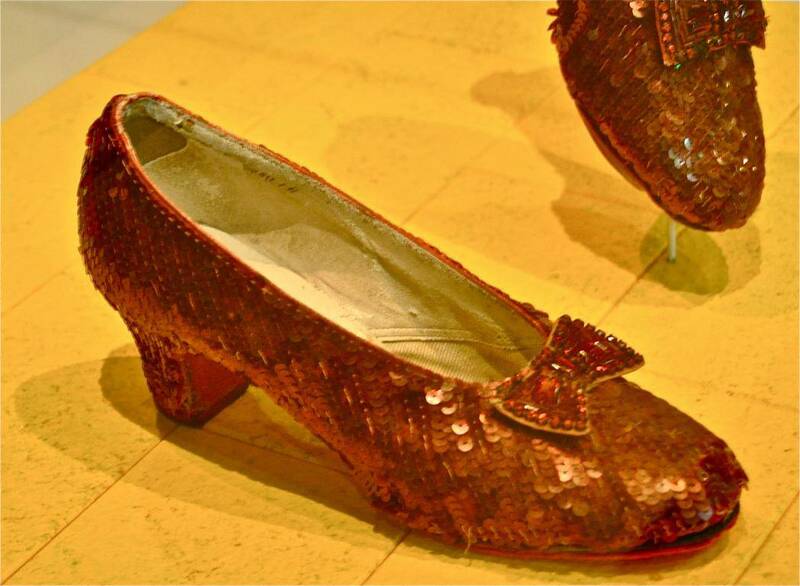 Sensible shoes required. 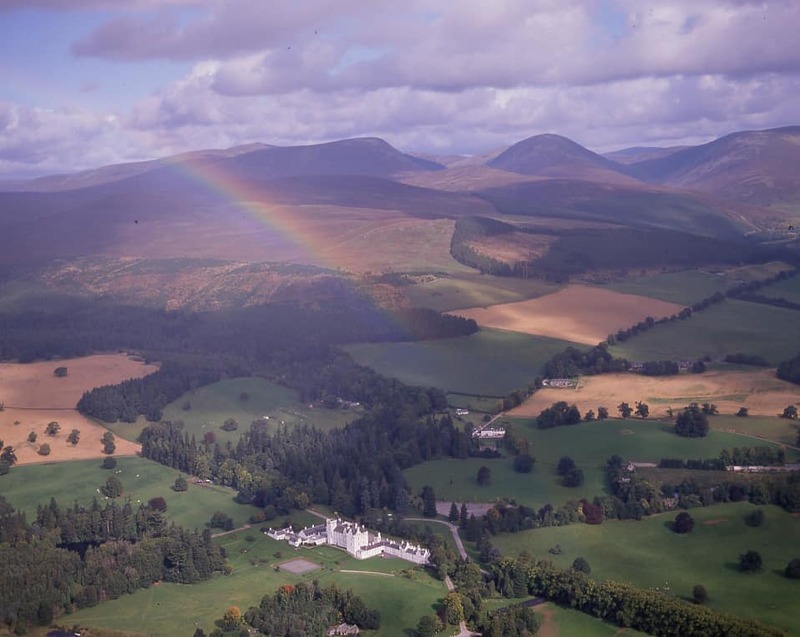 Three miles further on the immaculate village of Blair Atholl, where you might wish to check out the Atholl Country Life Museum. This is a lovingly and a painstakingly constructed exhibit of life in the area in bygone days. It inhabits the old post office and displays implements and relics of the area’s history, organised into an endearing reconstruction of historical scenes. (Not quite sure what to think of the stuffed cow!). The Blair Athol Visitor Centre sits at the back of the green on the banks of the Tilt and offers another compelling exhibit of wildlife and local ecology, whilst a working mill and tearoom offers that all-important opportunity for refreshment. 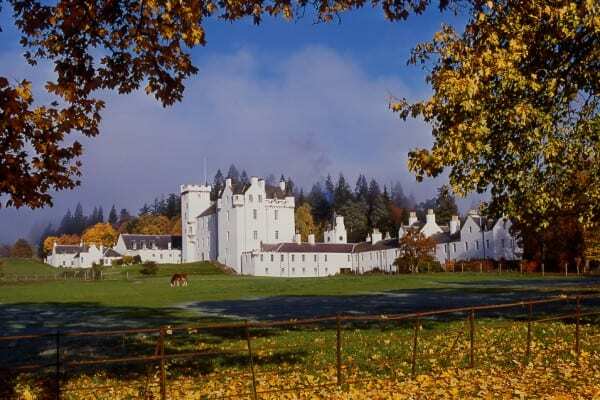 Blair Castle, the ancestral seat of Clan Murray, has a magnificent, mid-glen setting, against which its bright white harling stands out with great authority. Home to the Duke of Atholl and his private army, the Atholl Highlanders, the castle is a pure delight to visit. Over 30 rooms are on display and the tales of the castle’s history, including it’s role as a red cross hospital in World War 1 take you on a journey through the history of nineteen generations. 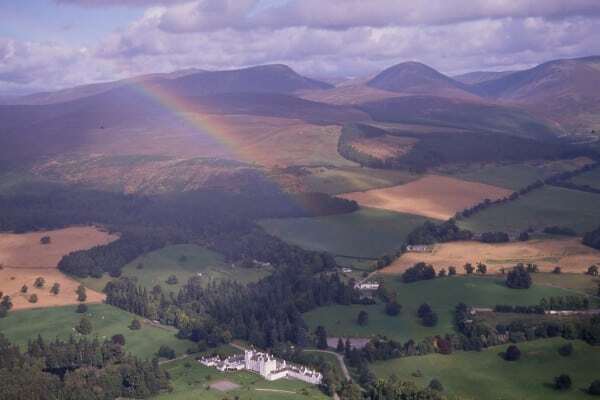 Rosemount Hotel is pleased to offer discount vouchers to guests wishing to visit Blair Castle. The castle grounds include a nine-acre walled garden, faithfully restored to its Georgian roots. The peaceful Diana’s Grove with some of the UK’s finest and tallest trees lies along the ruins of St Bride’s Kirk, the final resting place of Bonnie Dundee, the Jacobite leader. Pony treks, landrover safaris and tractor treks are run from the castle grounds. 3 miles north of Blair Atholl you come to the House of Bruar, a fabulous visitor shopping experience with glass-covered courtyard for teas, coffees and lunches. A circular walk taking in 2 waterfalls is worthy of completion and provides many photo-opportunities. The path is uneven in places. The car park has a dog-friendly shaded parking area with water tap. Heading back towards Killiecrankie, it is worth taking a detour via Tenandry over towards Queen’s view. 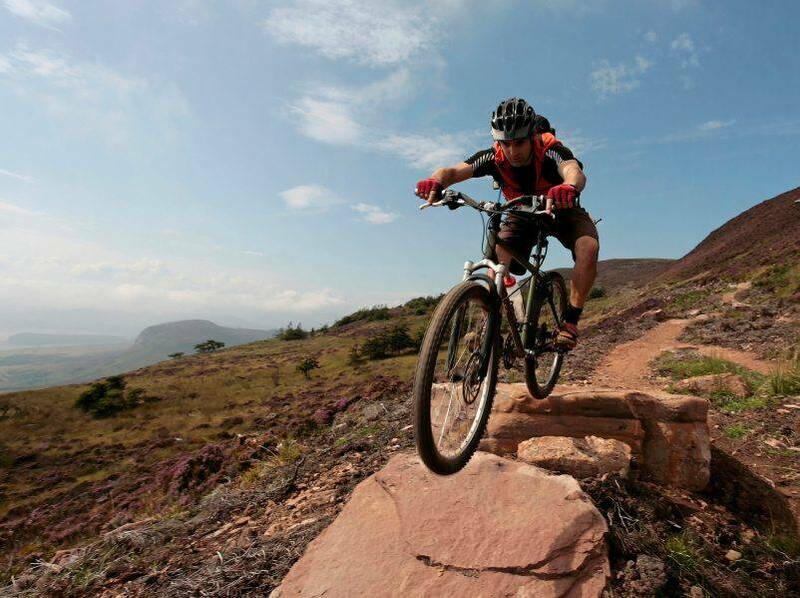 This can be reached more easily by continuing to Pitlochry and taking the Tummel Bridge road over the Garry Bridge, but the Tenandry road, rising high and narrow, affords some stunning views up the Glen. It’s worth stopping and looking back towards Blair Atholl when you get to the top. 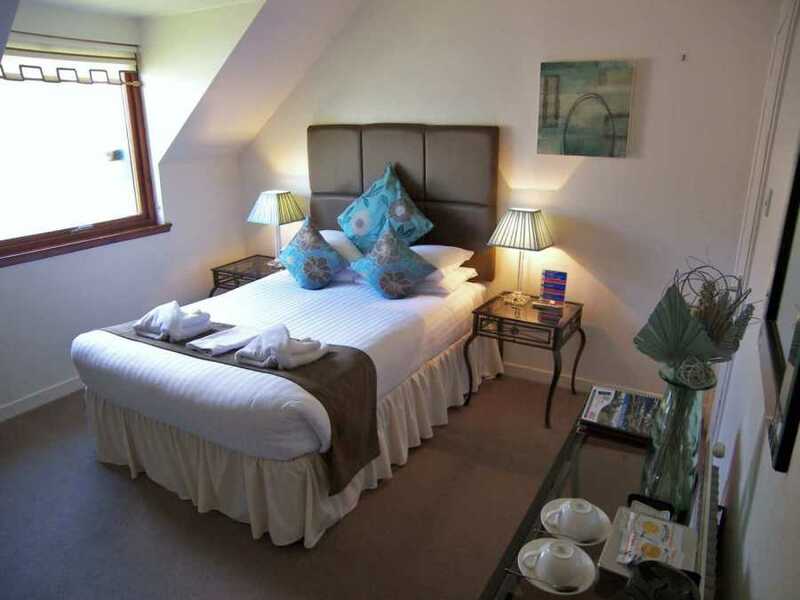 Queen’s view is a must-visit destination for anyone booking accommodation Pitlochry. 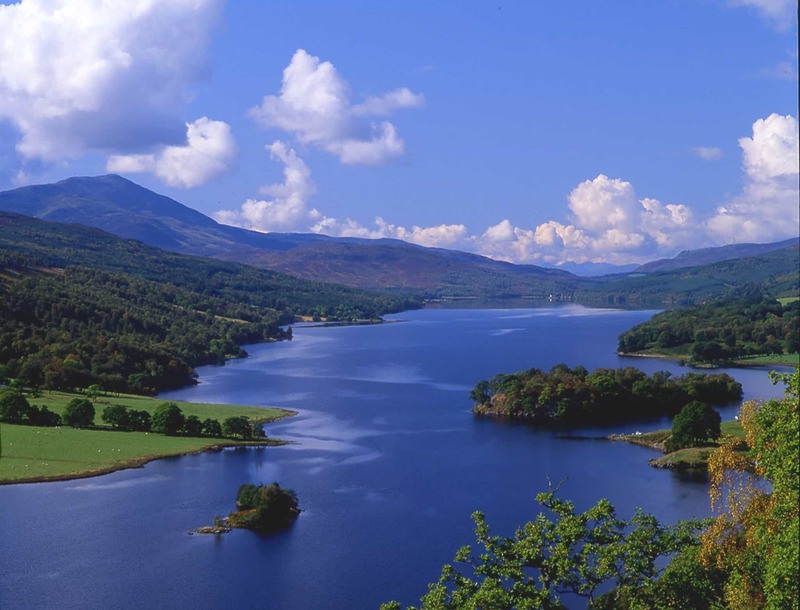 The viewpoint affords a breathtaking vista over the ever-changing scenery embracing Loch Tummel, towards Schiehallion. A small visitor centre provides refreshments and toilets. There is a charge for parking. Several hundred yards along the road, on the right hand side, is the Ailean Forest walk with a derelict crofting settlement. You can see the footprint of tiny crofts wherein families lived with their animals. One has been reconstructed for you to enter and wonder how the occupants ever survived the frozen winters in these tiny smoke-filled hobbit homes. The views over the Loch are, again, quite beautiful from points along this walk, though it is a bit of a climb in places. 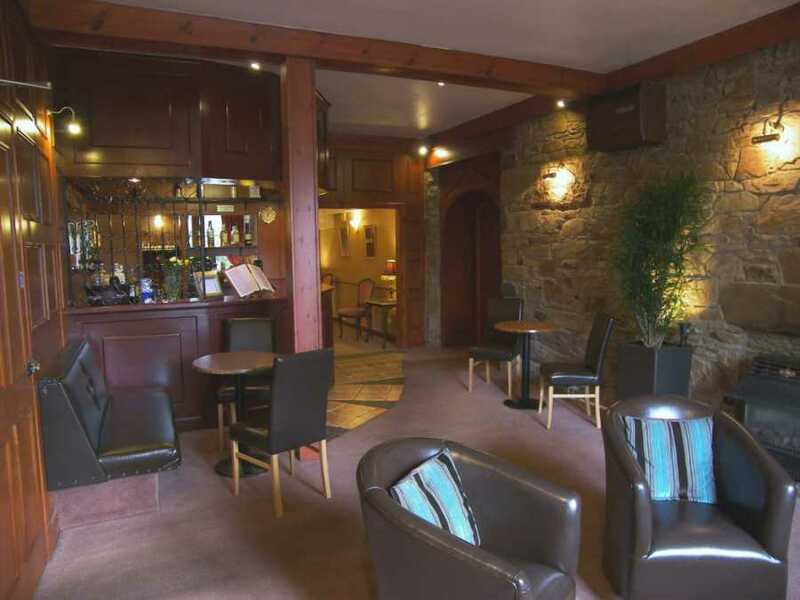 Returning to Pitlochry and Rosemount Hotel for a lovely evening in the company of our other visitors, enjoy a meal, savour a fire-side malt from one of the distilleries you have visited and reflect upon a perfect day!